In 1783 peace has been declared, but war still rages in the heart of Lark Benton. Never did Lark think she’d want to escape Emerson Fielding, the man she’s loved all her life. But when he betrays her, she flees Williamsburg for Annapolis, taking refuge in the nation’s temporary capital. There lark throws herself into a new circle of friends who force her to examine all she believes. Emerson follows, determined to reclaim his betrothed. Surprised when she refuses to return with him, he realizes that in this new nation he has come to call his own, duty is no longer enough. He must learn to open his heart and soul to something greater - before he loses all he should have been fighting to hold. I have listened to all of her other books, which were amazing! Liz Pierce did a wonderful job narrating those. This book , both the story and the narration, lacked the sizzle that the other ones did. The narrator, though good, was monotone. The voices were good, but the actual narration parts seemed flat. Also the main character, the male character, very flat. Roseanna M White writes a good story. the reader on this book however had to many of the voices with similar tones so it was harder to understand who was speaking. This well-written story contained lots of interesting history, as well a good love story. The narrator was not the best. Her acting sounding artificial, and she needs to work on her voices. It was difficult to listen to her at times, but still worth it. 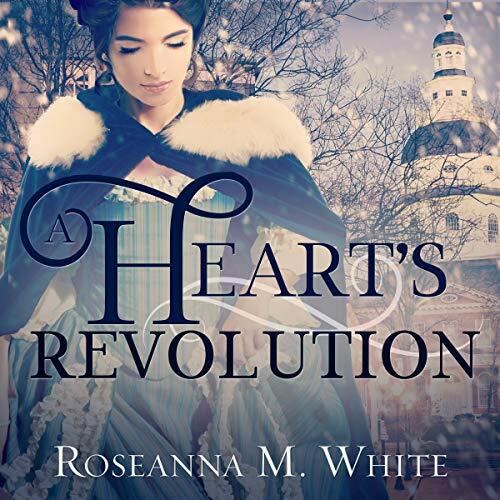 Roseanna M. White gives an interesting historical context in the author's note at the end of the story. I would really have enjoyed hearing this before listening to the story! This is one American History lovers should enjoy! While the narrator wasn't horrible, I could see where a top-notch reader would change my over-all impressions of this book to be rated higher across the board. Nice story of faith, forgiveness and history. Will listen again sometime, I'm sure! I thought it was well done the narrator was great the story was great hate that it ended.